You can set up automatic calculation of commissions based on technician hourly rate and service labor time. Note You can add hourly rate commission profile to an existing commission type; however, you should take into account that you can assign employee or sales advisor only to one commission profile of the same commission type. On the Profiles page, click the Rules link next to the appropriate profile, and then click Add on the toolbar. In the Rule dialog box, enter name in the Name box, click Per Service Level in the Rule Type box, click Hourly Rate in the Calculation Method box, and then click OK.
On the Company tab, click Employees, and then on the Employees page, click Edit next to the appropriate employee. In the Employee dialog box, enter the appropriate value in the Hourly Rate box, and then click OK. 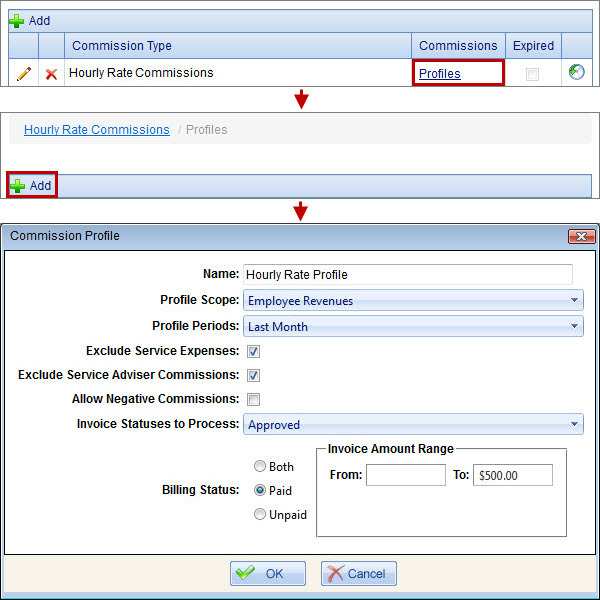 Note Make sure that the Use Commission Profiles option is selected. Tip You can also click the (per Client) link and specify a different hourly rate for particular clients. On the Employees page, click the Profiles link in the Commissions column next to the appropriate employee. On the New Commission Profiles page, in the Profiles column, select the commission profile with the rule that has the Hourly Rate calculation method, and then click the Save Profiles button. On the Company tab, click Services, and then on the Services page, click Edit next to the appropriate service with the Money price type. In the Services dialog box, enter the appropriate value in the Labor Time box, and then click OK. Note Labor time for services with the Labor price type equals the Time value which is specified on device while adding labor services to work orders. On the Company tab, click Clients, and then on the Clients page, click the Services link in the Services column next to the appropriate client. Tip You can also specify labor time for a client service, by clicking the Clients link in the Service dialog box. On the Reports tab, click Technician Commissions (New), and then on the Technician Commissions page, in the Search pane, enter the appropriate filter settings, and click Search. 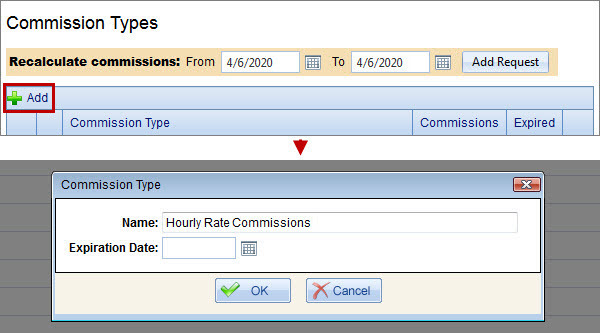 Tip You can click the Service Level link next to the appropriate service to see the details of hourly rate commissions. Important! Now commissions for the previous day are automatically calculated at about 3 AM (PST) and 9 PM (PST), so commissions for today’s invoices will be shown in the Technician Commissions (New) report tomorrow.